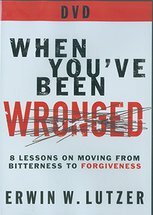 You've been wronged. Have lies been told about you? Have you been rejected? Maybe you've been the victim of abuse. Perhaps it's a broken promise. Or someone betrayed a confidence. It's only natural that you would be angry. These wounds cry out for justice! But what if justice isn't possible this side of heaven? What if the damage can't be undone? What then? You have a decision to make. 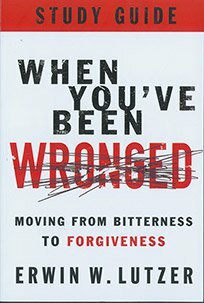 You can hold on to your anger until your anguish builds a prison of bitterness. In this cage you will live a diminished and pain-filled life. Or you can choose to forgive. 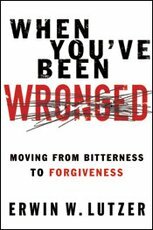 Dr. Erwin Lutzer discusses dealing with difficult people such as "spear throwers" and "destroyers," as well as handling conflict among family members and Christians in the court room.